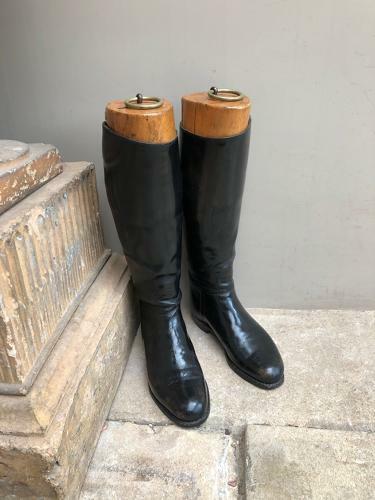 Lovely pair of Late Victorian Lady's Boot Trees and Leather Riding Boots. You dont see ladys boots and trees quite as often as mens and they are wonderful items to display. The left boot tree has "L" on each section and the right "R" - all correct.